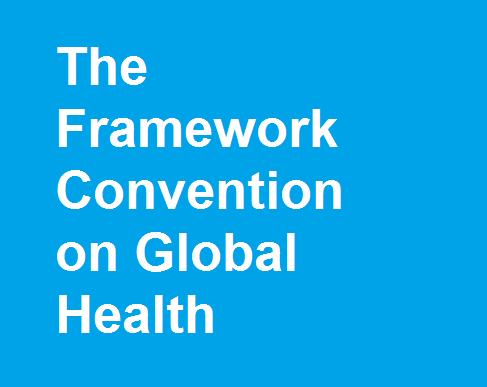 The Framework Convention on Global Health (FCGH) represents a significant opportunity to realize the right to health globally. However, in order to succeed the FCGH must be carefully considered: it must take a new evidence-based approach that departs meaningfully from past shortcomings in realizing the right to health. Central to this approach is recognizing, formally incorporating, and operationalizing the right to adequate food. This right should be correctly interpreted as a right to a standard of nutritional quality and not as a right to a minimum number of calories. Because nutrition is critical to the achievement and maintenance of good health, particularly for the most deprived populations, this right is an indispensable substantive condition of achieving the right to health. In addition to helping the FCGH to be effective, the right to adequate food will help it achieve comprehensiveness, legitimacy, and efficiency. There are several ways the right to adequate food can be operationalized in tandem with the right to health, including through formal enshrinement in health and other policies, and through the enactment of several types of measures to improve dietary behaviors and health outcomes. Incorporating a broadly conceived right to adequate food into the FCGH acknowledges and formally takes steps to address nutrition’s critical role in realizing the right to health, particularly for the most deprived populations. It will strengthen the FCGH and improve its chances of success.